To all my readers who celebrate Christmas – Merry Christmas and best wishes for a lovely day. Are you someone who puts weight on at this time of year? Maybe you’ve started making some changes and it won’t happen this year If not – perhaps next year will be different. There are 2 things that will make things different this time next year. Think about your brain as the computer and your behaviours and habits as software loaded onto that computer. A slim mindset loves the certainty of knowing you will never get fat (whether you have been in the past or not).A slim mindset has the ability of 100% enjoyment of lovely food (with nothing on the forbidden list). This means you can enjoy the goodies on offer at this time of year with no fear of getting fat. 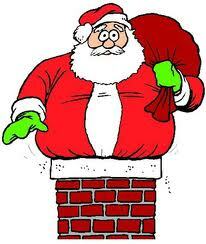 Slim people can go a bit mad over the Christmas period and they might even put on a bit of weight, but not a lot. This is because they have a healthy metabolism that will burn most of these extra calories up as heat. If you’re someone who has been dieting your body will store these as fat, and do a very good job of it. Changing your metabolism is straightforward. If you want to learn how to get and slim, and stay slim, you need to install some new software and change your metabolism. You can learn how to do both on Uber Slim 2014. This is available at a fantastic price but only until tomorrow and then the price goes back to normal.